More than a decade ago, I picked up my phone to a terrified friend. He was getting married the next day and had no idea what he would say in his speech. I had spent most of my adult life involved in politics and had made a thousand or so speeches, it had become 2nd nature to me, so I drove over and met my friend, we sat down, calmed down and I set about asking him what he wanted to say. A short time later I headed home and wrote out my version, of his wedding speech and emailed it over to him. The following day I sat at the wedding and listened as my email was read out, word for word. That should have been the end of it, but my friend told his friends and family and my reputation started to grow. Year on year, more and more people came to me for help and I started to study the art of speech writing. The last few years, the gushing praise and heartfelt thanks, have taught me that I have a genuine talent for speech writing. I provide a speech writing service like no other, it is personal, anonymous and individual to you. I will interview you and develop a theme for the speech, I’ll then write the first draft and read it back to you, only at that point and when you are happy with my work will I ask for payment. The risk is all mine, if you’re not happy with the speech, your welcome to walk away. We can then set about refining the speech as I coach you on how to deliver the speech. You will then be armed with a beautiful speech to add to the beautiful day. 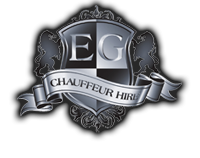 EG Chauffeur Hire have exhibited at the Loch Lomond Wedding Exhibition. Click here to see the video on Vimeo and find out about some of the great local suppliers who exhibited this year.